The choice to have spinal surgery can be difficult, but it’s not the only major decision you need to make. Once you and your doctor have determined surgery is your best bet for relief, the next step is deciding where you’ll have your procedure performed, and it might not be at your nearest medical facility. In some cases, it makes sense to travel to have your spine surgery elsewhere. There are many capable spine surgeons who may be able to provide relief for patients in major cities like Los Angeles. 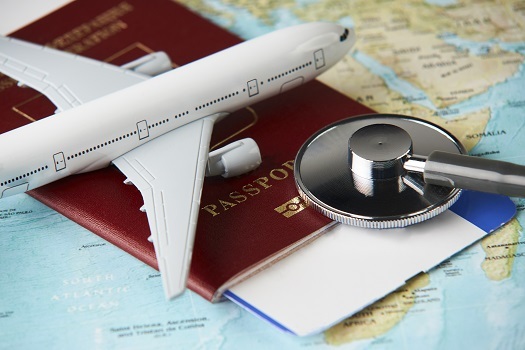 For patients living in parts of the world without the same resources, access to high-quality care may be limited, especially when it comes to highly specialized procedures, which is one of several reasons some patients choose to travel for spine surgery. Here are a few more reasons. Spine surgery is a delicate process that requires both skill and access to advanced technology. Some countries don’t have access to the same level of technology as what’s available in the United States and major European countries. Patients may also come from locations where there aren’t surgeons trained in some of the delicate procedures often needed to correct spine problems. It can also be difficult to find local surgeons who can perform minimally invasive procedures. Even if a local doctor or spine surgeon determines surgery is the most likely path to relief, there are only so many facilities where highly complex procedures can be performed. Cities in close proximity to well-respected research facilities also tend to offer more options for patients. Because spine surgery is so highly specialized, doctors who can perform it aren’t always readily available. Some spine specialists are centrally located so they can be accessible to as many patients as possible. This kind of setup sometimes results in long waiting lists for patients who have back pain that isn’t considered an urgent medical issue. Many spinal conditions, especially those involving nerve compression and related pain, may lead to long-term health conditions or disability if not treated fairly quickly. When quality of life is being seriously affected, you may want to look elsewhere for relief, and traveling for spine surgery will likely benefit you. Some sources of back pain are notoriously difficult to determine. Before even considering traveling for surgery, most patients will have seen several local doctors and maybe a few specialists in their areas. It’s not unusual for several different doctors and specialists to have very different opinions and treatment suggestions. If the recommended treatments aren’t successful, the options left tend to require more expertise, which may not be readily accessible in some locations. It may be time to look beyond your local area to seek other opinions and insights. The cost of spine surgery can easily exceed $100,000, with a cervical fusion averaging $112,000 and a lumbar fusion sometimes getting close to $200,000 in total costs. In areas where spine surgery costs are exceedingly high, it may be more cost-effective for patients to travel to large cities for surgical procedures, including alternatives to spinal fusion. Los Angeles is one example of a city where costs may not be so excessive for some procedures. Planning to travel for spine surgery extends beyond making flight arrangements. Patients should also consider where they will be staying while they recover after their initial hospital stays, which often last for just a few days. With many spine procedures, travel isn’t a safe option for several weeks or months after surgery. Traveling could be another source of discomfort for you if you’re already living with back pain, as sitting in one position is often part of the travel experience. However, you can reduce your odds of arriving at your destination in pain. Keep these tips in mind as you prepare for your trip. When planning your trip, think about where you might be sitting. For airplane trips, arrange your trip as far ahead as possible. Try to snag an aisle seat because you’ll have more space to stretch your legs and shift positions. For car rides, take a minute to adjust your seat before getting in to prevent being pushed into an uncomfortable position. Just because an airline claims to offer “plush seating” doesn’t mean you’ll have the right support for your spine. Pack pillows, blankets, and other comfort or support items to make your travel experience less painful. Specially designed travel pillows can also come in handy for long car rides. Some other spine-supporting items to consider. If you’re on a plane, after being given the okay to unbuckle your seat belt, get up and walk around the cabin to stretch your spine-supporting muscles. If you’re in a car, pull over now and then to get out and stretch your back. For bus and train trips on which it’s not always easy to schedule stops, shifting positions or doing simple stretches in your seat can prevent muscle stiffness. Sitting on a long flight, car ride, or train trip thinking about your spine pain will only make it seem worse. Find ways to keep yourself occupied. If you opt to read a book, keep it at eye level so you’re not throwing off your spine’s alignment. This tip also applies if you’re going to use any devices while traveling. Traveling for spine surgery can be the best option for many people, and it’s important to protect your spine during the trip. If you’re searching for an industry-leading Los Angeles spine surgeon to perform your surgery, call on the physicians at The Spine Institute. Our spinal health experts are pioneers in the use of innovative techniques and cutting-edge technology to alleviate back pain. Call one of our helpful representatives today at 310-828-7757.